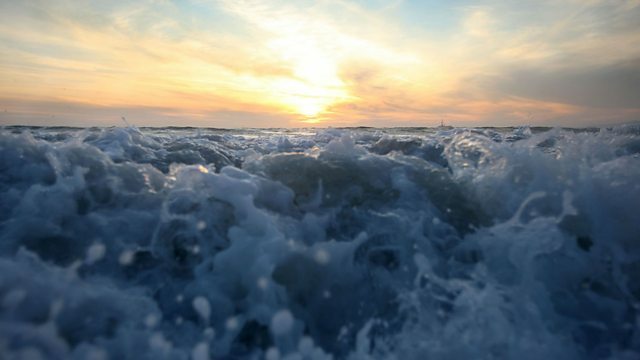 Could cooler oceans be slowing down global warming? Plus Professor Suzanne Corkin remembers 46 years of memory loss research with Henry Molaison. In sediment laid down millions of years ago, two and a half kilometres below the ocean floor, scientists are finding bacteria living at slow-motion pace. Effectively reproducing only once every 10,000 years, these bacteria colonise the depths all over the world. New research, announced at the Goldschmidt Conference in Florence this week, reports not only that there are bacteria living at these depths, but that they are joined by viruses and fungi as well. But how do they survive such challenging conditions? How did they get there? And are they even, technically, alive? If life is surviving kilometres below sea beds, in rocks millions of years old, could they have originated from Mars? Indeed could life itself have originated on Mars? Scientists have been studying how the biological soup of life would have best been prepared in conditions similar to those found on the red planet. The researchers looked at how biological molecules like RNA assemble and found that conditions on Earth would not have suited them at the time it would have needed to. At the Goldschmidt Conference this week, scientists suggested that the primeval RNA would have required minerals to coat it, and at the time life began, these minerals would have been more abundant on Mars than on Earth. Imagine you have epilepsy, and a cure is suggested whereby a small part of your brain is sucked out through your nose with a silver straw. This is the treatment that Henry Molaison received, and its unforeseen side-effect made him the most famous neurological patient in the world. Although it cured him of his epilepsy, it deprived him of the ability to form any new memories. The accident revolutionised our understanding of the mechanics of memory. In her new book, The Permanent Present Tense, Professor Suzanne Corkin remembers Henry in an account of her 46 year-long study of his brain. How do ocean temperatures affect global warming? Could your genome tell you too much? Did they start on Mars on 2.5km under the sea?